The New York photographer Weegee often appeared on the scene immediately after accidents and crimes, sometimes even before the police got there. He photographed what he saw, and did not hesitate to stage his images. The position of a body would be altered slightly if that resulted in a better picture. His street photographs made him world famous. Wauter Mannaert and Max de Radiguès have succeeded beautifully in capturing the contrasts in Weegee’s life in pictures : the eternal doubt over whether to choose his violin or his photography ; the streets and neighbourhoods of New York that he loves but also wants to escape ; his photographs, which are printed in the popular press but should be on the walls of galleries. Their approach turns the photographer into a man of flesh and blood and makes you identify with him, so his rather tragic fate hits all the harder. 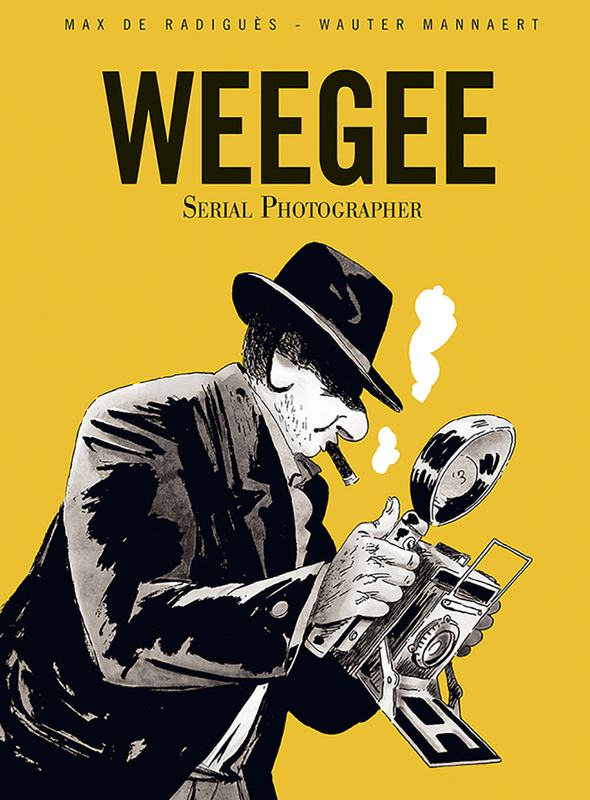 The style in which Mannaert has drawn Weegee’s hectic life is a perfect fit. His distinctive black-and-white drawings create the impression that you’re walking with Weegee through New York’s iconic Lower East Side of eighty years ago.